I think it's important to show your loved ones that you really care about them every day, but I just love the spirit of giving a loving and thoughtful gift on Valentine's Day! 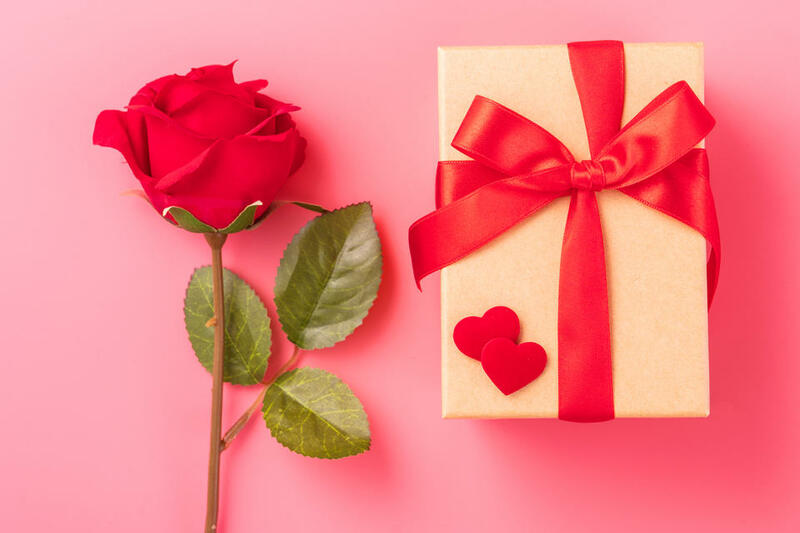 That's why I've put together this gift guide to the best natural, organic and toxin-free Valentine's Day gifts of 2019. I am all for showing your loved ones that you love them every single day, but I have to say I am OK with a getting a gift whenever I can! Whether or not you really believe in it, I think that Valentine's Day is a great opportunity to just remind someone that you love them, and maybe even give them a little gift to brighten their day! It doesn't have to be huge... we have plenty of budget-friendly options right here on Nourished Life as well as goodies to splurge on, so you'll find the perfect Valentine's Day gift for your loved one, whether it's for a partner, friend or even just to treat yourself. 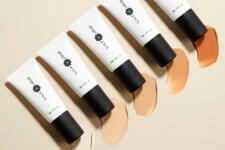 And don't forget that shipping is free Australia wide if you have an NL account! Signing up is fast, free and easy — join right here! Give her the hint to slow down, relax and pamper herself with the Weleda Gift Pack - Relax & Pamper. This luxurious gift pack contains a full size Wild Rose Creamy Body Wash and matching Body Oil in a beautifully present gift box, perfect for turning the bathroom into a spa thanks to the soothing aroma of Damask Rose. Perfect for the nail polish lover, the Butter London Make Me Blush is a gorgeous set of travel-size, non-toxic nail polishes in neutral pink shades. Each polish is chip-resistant, quick-drying and designed to give nails a high-gloss, gel-like cushion finish, and comes in a stunning plush velvet burgundy keepsake bag. 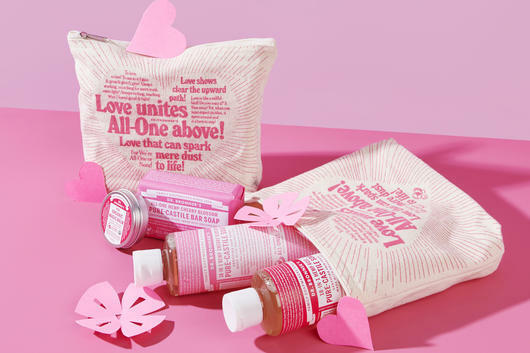 Filled with beautifully fragrant liquid soaps and bars, the Dr Bronner's Pink Pack contains multi-purpose goodies from the bestselling Cherry Blossom and Rose scent lines. Each soap can be used all around the home or on the body, and this pack also contains a moisturising body balm, all housed in a handy reusable canvas bag! Read more about the 18 uses of Dr Bronner's soaps here. 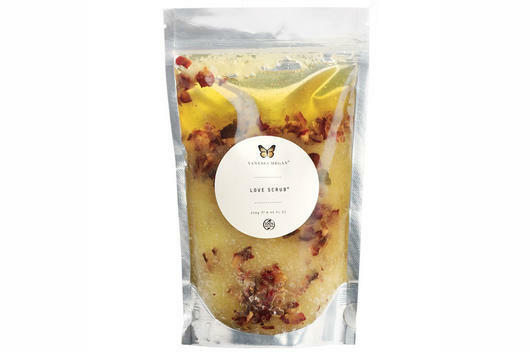 Perfect for gifting her a luxurious day spa experience at home, the Vanessa Megan Love Scrub® Body Salt Scrub is an indulgent and invigorating body scrub packed with exfoliating Sea Salt and Epsom Salts and deeply hydrating Grapeseed, Sunflower and Coconut Oils. This delicious scrub is also wonderfully aromatherapeutic thanks to the inclusion of fragrant essential oils, and to top it off it looks stunning too, with real, certified organic Rose Petals sprinkled throughout. 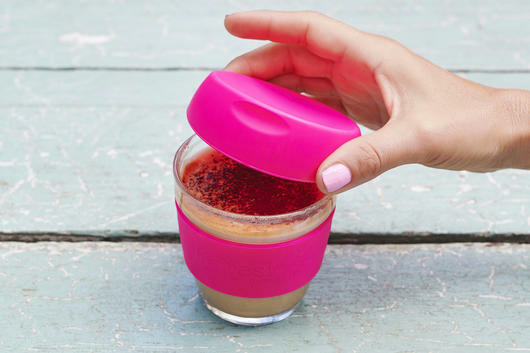 A thoughtful gift for a coffee or tea lover, the Life Basics Small Reusable Glass Coffee Cup - Pink is an affordable reusable coffee cup that they'll love using every day, in our vibrant classic Nourished Life pink! 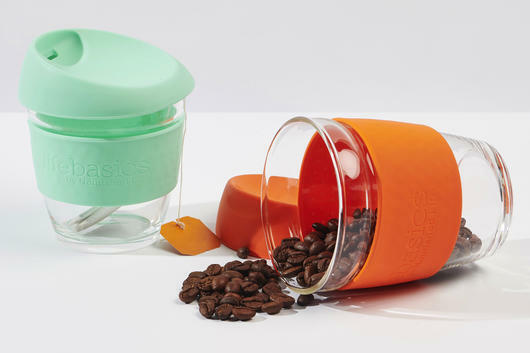 It's made from durable glass and BPA-free, food-grade silicone, and is designed to help keep hot drinks hot while on the go. Give her the scent of love with the Salt & Glow Love Always Elixir Oil, an addictive blend of Jasmine, Rose and Ylang Ylang, all said to be natural aphrodisiac scents! 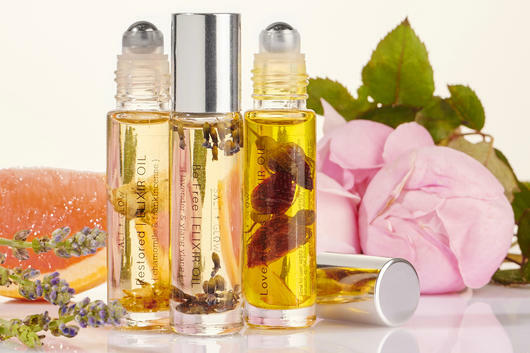 This affordable natural perfume makes a beautiful Valentine's gift that she'll continue using — in fact it's so alluring it could become a new signature scent! Ideal for those who love a solid coffee hit in the morning, the Life Basics Large Reusable Glass Coffee Cup - Navy is a great size for a medium/regular takeaway coffee, in a stylish navy blue colourway. The durable glass and BPA-free, food-grade silicone design helps keep contents piping hot, while the protective heat sleeve ensures easy grip. He'll also love that it's dishwasher friendly — no washing up required! Also available in Orange, Forest Green & Wine Red. Refresh the bedroom with the Life Basics Eco Bamboo Sheet & Pillow Set - Charcoal. 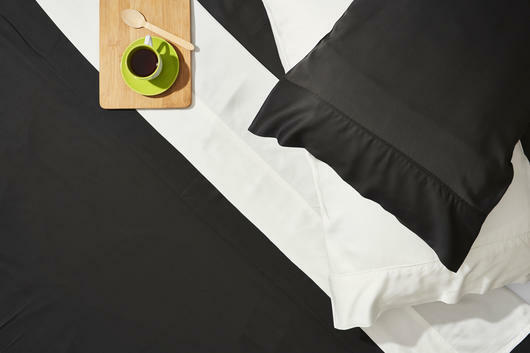 Made from super soft, sustainable bamboo, these silky smooth sheets will make you feel like you're sleeping on a cloud. They just get softer and softer with each wash, and the natural thermo-regulating properties of bamboo work to keep you cool in summer and warm in winter. An ultra useful gift for the man in your life, the Weleda Men's Gift Pack contains the bestselling everyday shaving essentials from Weleda, including a gentle shaving cream, soothing after shave balm and moisturising face cream. Perfect for all skin types, these certified natural men's skin care essentials might even help convert him to toxin-free living. Another great natural men's skin care set is the Skin Juice Man Brew 2 Pack, which contains full strength formulations for the ultimate in men's skin care. The gel face cleanser is infused with Turmeric for powerful brightening properties, while the quenching facial moisturiser smooths and clarifies skin with detoxifying Charcoal. Inspired by the song 'Nature Boy' by Nat King Cole, the Less is More Organic Cologne - Nature Boy is an intriguing blend of deep Bergamot and Douglas Pine that is balanced with the lemony freshness of Petitgrain Lime. Warm and spicy, this natural men's cologne also features a base of crisp Coriander and masculine Patchouli.